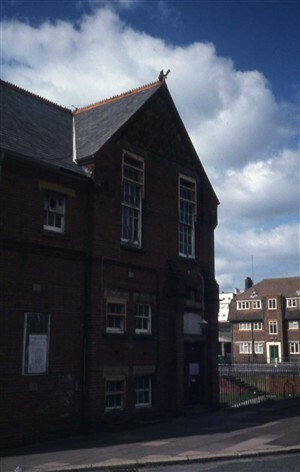 Having started life in Sussex Square in 1845, St Mark's School moved to Chesham Road in 1856 and then to Arundel Road in 1896. 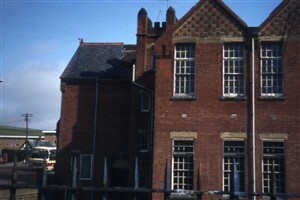 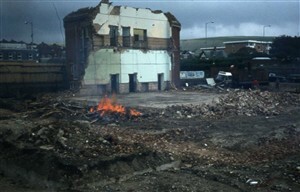 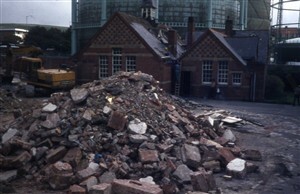 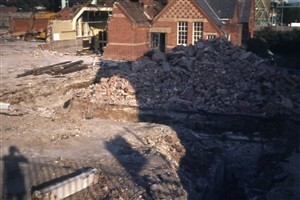 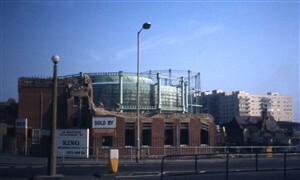 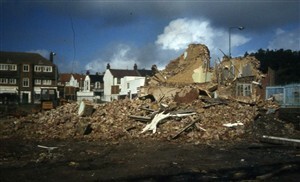 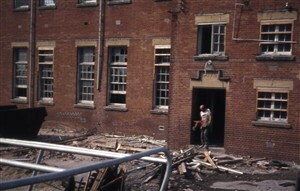 In 1972, St Mark's School moved to Manor Road and the Arundel Road site was demolished in 1982. 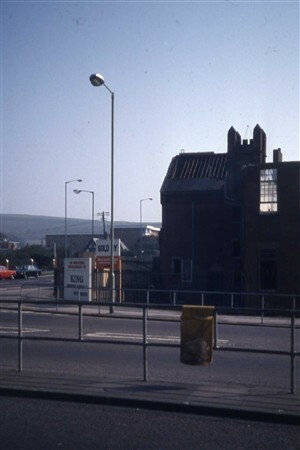 The school's bell tower was preserved as the distinctive feature of the Bell Tower Industrial Estate which was developed on the site. 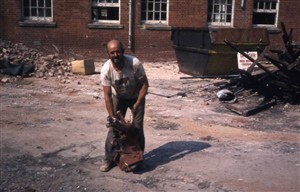 When St Mark's School was being demolished, George Horrobin was on site looking for memorabilia and the vicar gave him permission to take the dragon. 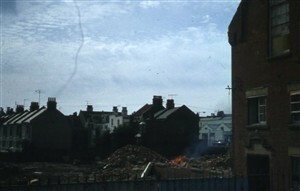 It remained in his garden in Wilson Avenue for about ten years. 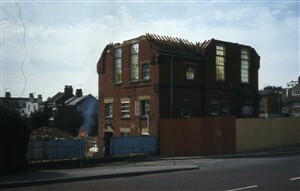 As a family we later decided it should be returned to the new school in Manor Road.